On fire: As bridging lending reaches £4bn, how much further can it grow? The bridging market is booming. The Association of Short Term Lenders says its members are writing £2.5bn-worth of loans a year and the true size of the regulated sector stands at £4bn. If you include unregulated bridgers, it could be larger still. When the credit crunch hit in 2007, the market was a minnow in mortgage terms with most experts estimating total annual lending of less than £1bn. But the dearth of bank lending left many homeowners and landlords crying out for finance and bridging was on hand to fill the gap, with brokers rushing to collect the deals on offer. Today, the Council of Mortgage Lenders estimates gross lending of £220.3bn for 2015, an 8 per cent increase on 2014 levels. This means bridging comprises around 2 per cent of the UK’s total mortgage lending. Meanwhile, the ASTL reports 17.1 per cent year-on-year growth in the value of bridging completions for the three months to September 2015. Property price growth and cheap finance have driven a demand for bridging and many lenders have flooded the sector in recent years. At the time of writing, Moneyfacts data lists 32 bridging lenders, with a healthy mix of banks and non-banks – regulated and unregulated. They include big names from the specialist mortgage sector, such as Aldermore, Precise Mortgages and Shawbrook Bank. Some specialist bridgers have operated for a number of years, including Dragonfly Property Finance and West One Loans. Many of the biggest names are familiar to exp­erienced brokers because they hail from the non-bank sub-prime lenders that disappeared during the financial crisis. Bridging also shares many of the attributes of the old sub-prime market, such as high procuration fees and looser criteria. While the industry standard for proc fees is above 1 per cent, Dragonfly Property Finance pays up to 2.5 per cent (see table below). Proc fees are funded by rates that outstrip the mainstream mortgage market, hovering around an industry average of just under 1 per cent a month. During the recession, bridging was one of the few areas of the market to attract significant non-bank investment. The same applies today but even more so. If one wanted to determine which industries would generate the best returns, one could do worse than examine where hedge fund and private equity firms are investing. They have chosen deliberately and repeatedly to back the bridging market in recent years, due to a strong property market with rising house prices and excellent rates. US activist hedge fund Elliott Advisers is currently backing Precise Mortgages – although the lender is up for sale – while private equity giant Octopus is the money behind Dragonfly Finance. This means bridging lenders are springing up and hiring new staff in both the regulated and unregulated sectors. “It is a busy time right now, what with new lenders emerging and existing ones recruiting too,” says Peter Gwilliam, a recruitment consultant specialising in property finance. In line with the mortgage and credit markets generally, rates at bridging lenders have fallen dramatically and competition has become fierce. Moneyfacts data for the end of 2014 shows Shawbrook Bank with the lowest rates in the market, at 0.65 per cent a month on loans up to £10m and up to 70 per cent loan-to-value on residential investment deals. At the end of 2015, Shawbrook again had the lowest rates in the sector, with 0.59 per cent a month. The lender will also offer loans up to £15m over 18 months on LTVs as high as 75 per cent on residential investment deals. This is one example of how far rates have fallen and criteria eased in just 12 months. 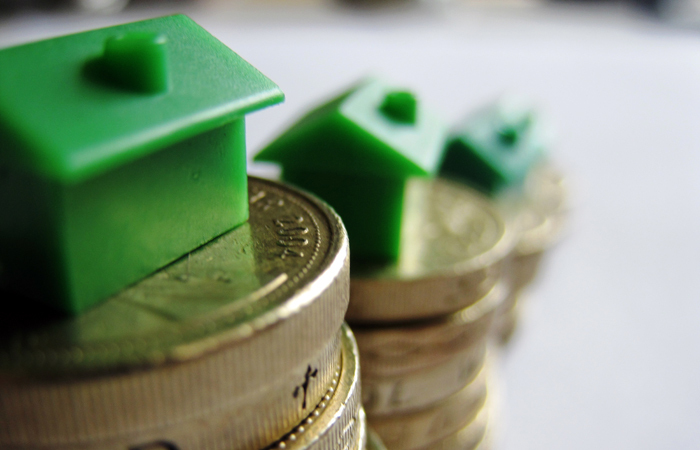 At the end of 2015 there were a number of lenders offering rates of 0.65 per cent or under. Hope Capital chief executive Jonathan Sealey does not believe that pricing drives consumers in the short-term loan sector. He says: “It is a service industry and, although there are lenders out there that will offer lower rates, do they also have the appetite to complete that loan in a matter of days if required by a borrower? Probably not. As well as fierce competition for vanilla bridging products, there has been innovation at the fringes with higher LTVs and looser criteria. For example, Just Bridging Loans has a deal at 100 per cent LTV for a 1.95 per cent monthly bridging fee up to £500,000 for two years. And big bridging deals are all the rage, as Shawbrook’s 33 per cent increase in its maximum loan size demonstrates. Brightstar Financial has set up a new, central-London office to focus exclusively on high-net-worth clients, while lenders and specialist distributors alike send out press releases on their largest deals. The fees can be huge and the ability to rapidly process a short-term loan worth more than £5m is good for a company’s reputation. Regulation is set to rock the sector in March when the European Mortgage Credit Directive comes into force. Regulated lending definitions are being expanded and the length of loan terms may be drastically reduced, with much more transparency required. Lenders will have to issue all borrowers with a European Standardised Information Sheet, which will replace the key facts illustration. Data seen by Brightstar Financial shows more than one third of bridging intermediaries admitting to not fully understanding the regulatory changes brought about by the MCD. Thompson says: “The majority of the bridging industry is still not expecting to be affected by the directive, with many still questioning which areas will become regulated. “A significant amount of current lending activity will remain outside the directive and will be classified as unregulated lending activity, such as loans to businesses and limited companies. However, the new regulations will impact bridging finance either directly or indirectly and, although regulation is something many do not want to embrace, it is a subject the industry cannot ignore.” Thompson says regulated mortgage contracts will see a decrease in the term of bridging loans to no more than 12 months. “If an extension is required, it will fall into uncertain ground under the remit of the new legislation and this is just one detail that could catch out the unwary,” he says. The MCD may affect not just how loans are dished out but also the shape of the market, with the potential for consolidation. The high number of lenders in the sector means there is a genuine prospect of larger lenders swallowing some of the smaller ones. Just as regulation has tilted the advantage towards brokers in the mainstream market – with fully advised sales now mandatory – the same could happen for bridging. The MCD could shift distribution patterns towards the intermediary market as the sector becomes more regulated. “There could also be a growing focus on lenders that deal only with regulated intermediaries, particularly where regulated loans are concerned,” says Thompson. There is no way of accurately establishing the size of the whole bridging market because it is fragmented, with many small lenders operating below the radar. These firms tend to be completely unknown to the wider establishment and, as they operate in an unregulated environment, there is no collation of data. In addition, a handful of firms operate in the top end of the market, often completing very large transactions. What is sure is that the bridging market is growing considerably. The ASTL’s last available survey reveals that completions grew by 17.1 per cent annually for the three months to September 2015, while the value of the total loan book rose by 21.6 per cent and the value of applications increased by 32.5 per cent. The Q4 2015 figures will be out imminently and I expect them to show little sign of growth stopping. In fact, feedback from most ASTL lenders shows that there was almost no let-up in demand over the Christmas period. This bodes well for the forthcoming year. At the same time, the reputation of the bridging industry has improved in leaps and bounds in the past few years and I would like to think that the ASTL has been at the forefront of this. Much business is now done by ethical lenders that operate in a clear and transparent way, which has made bridging a more acceptable and well-known source of funding for brokers and their clients. But this rise in volumes should not make us complacent. While conditions in the UK remain positive, we are in a very uncertain geopolitical environment and the UK is affected by far more than what happens here. The market is sensitive to issues like the slowdown in China and instability in the Middle East. Confidence is a fragile thing and can quickly turn to fear for the future. The implementation of the MCD and the changes in taxation and stamp duty for buy-to-let properties offer new challenges. While neither is aimed directly at the bridging industry, it is inevitable that they will have an effect, on both regulated and unregulated lenders. At the moment, things look positive for the bridging industry as awareness of both the sector and its reputation have a positive impact on a range of people – from homeowners to developers and SMEs – and this increases their appetite to turn to bridging for their funding needs. Hope Capital was started in 2011. We are 100 per cent privately funded and the directors/ shareholders put their own funds into every loan deal we facilitate. We feel we need to be aligned with other private investors in every loan we complete. It also provides us with complete control over who we lend to and what projects we lend on. Most importantly, it enables us to provide a better service to our borrowers. Because we are the principal lender we do not need to go to an external credit agency to get the funds for a loan, so our turnaround times are quicker and we can be more flexible. What is your target lending audience? Anyone who requires short-term finance and has the equity in a property to use as security. Particularly, we are seeing more and more borrowers wanting funds to refurbish properties and convert from office to residential. How big can the bridging sector become? There are various reports out there but I feel we are looking at a market in the region of £4bn annually. Do I think it will become bigger? Based on our start to the year, yes. However, accurately gauging the size of the market is difficult. Appetite for bridging is increasing but this may be due to the impending stamp duty charges and implementation of the MCD, rallying borrowers to act before they both come into effect. Should the sector be fully regulated? It is a difficult question as to what is ‘fully regulated’. I do not believe that regulation is the ‘be all and end all’ of the market. I agree that it must be in place for certain lending but, if a lender acts ethically, transparently and in the best interests of their borrowers, in some ways regulation is irrelevant. Lehman Brothers, Northern Rock and a number of other lenders were regulated… but did they all act in the best interests of their borrowers? Can we expect more lenders to appear or are we near saturation point? There will always be new entrants to buoyant markets and bridging is no different. That said, there are a lot of established lenders out there now so a new one will need to bring something different to the table to gain traction in the market. I foresee consolidation within the existing market in the coming years. Is Andrew Bailey the right man to lead the FCA? Peter Curran: Will the headwinds blow the market off course in 2016?